The results of the municipal election in St. George’s are in, with Cyniqua Anderson winning, earning 237 votes as compared to 73 votes for Mark Soares. 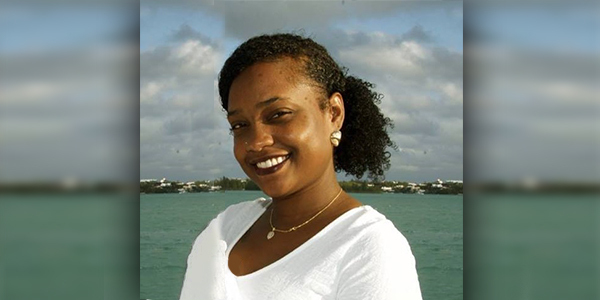 She attended St. George’s Preparatory School, Clearwater Middle School, and CedarBridge Academy before furthering her education at Johnson & Wales University in Rhode Island, graduating with a Bachelors degree in Software Engineering with Honors in 2010. Ms Anderson previously told Bernews, ““I am a born and bred St.Georgian coming from a family with deep St.George’s roots. My father, Phillip Anderson, became the Councillor for the Town of St. George in 2012. My aim is to fill the seat he occupied from his election in 2012 until his sudden and untimely death on December 9th, 2018. “Not only has St. George’s always been my home, I am an active community member and have a vested interest in the town. I own property within the municipality, I am a mother raising children who attend school in the town and I am an entrepreneur, with a business based in St.George’s. “I grew up in this town. The St.George’s community has shaped me into the individual that I am today, for this reason I believe that it is my duty to serve St.George’s and her people in this capacity.